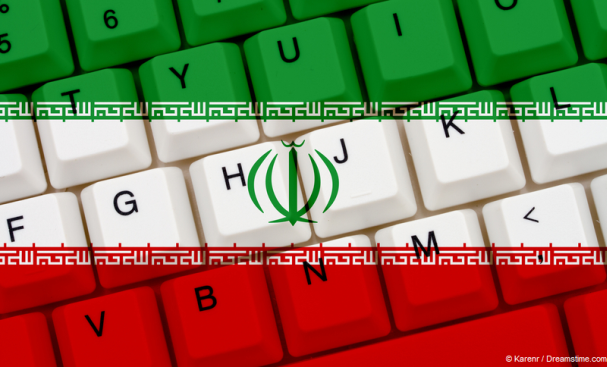 Is Iran’s stance on internet censorship beginning to soften? It might just be, after the country’s new Communications Minister that they were open to negotiations with social media behemoth Twitter about unblocking the service. Twitter has been blocked in Iran since 2009. In that year, widespread protests against the hardline theocratic regime which controls Iran saw a big crackdown on online freedoms. Twitter had played a crucial role in helping protesters to organise and communicate. It was therefore inevitable that they would be one of the victims of this crackdown. Since then, Iranians have only been able to access Twitter if they are using a VPN, and online freedoms have steadily declined. The former Communications Minister, Mahmoud Vaezi, began the roll out of a domestic internet infrastructure which was intended to restrict all foreign influences. Meanwhile, further restrictions on social media and online messenger apps have left Iranian’s online freedoms severely curtailed. But Mohammad-Javad Azari Jahromi has recently been appointed to the role of Communications Minister and commentators have suggested he might herald a change of tack. Jahromi is just 36 years old, Iran’s youngest ever Government Minister and the first to have been born after the Islamic revolution of 1979 saw hardline Islamists seize power in the country. This might seem like splitting hairs to some, but his argument is that he was not behind the policy of surveillance seems to be sound. The pride he has expressed in his work on the surveillance infrastructure is, however, a little harder for many activists to stomach. However, his stance on online censorship has generally been pretty positive. He has already indicated that his department is looking at ways to unblock YouTube, but admitted that any “immoral content” would still need to be censored. A pilot of this scheme is planned in the country’s universities soon. He went on to claim that “[Twitter] has announced that it is prepared to negotiate to resolve problems.” There has been no formal comment from Twitter, or indeed YouTube, to date about Jahromi plans. On the face of it, they have nothing to lose by talking, but the idea of censoring certain content in order to comply with the Iranian regime’s requirements may be difficult for them as there would be an inevitable backlash elsewhere in the world to any compliance with state censorship. Iranian’s shouldn’t get their hopes up just yet. Jahromi is a new Minister and achieving such bold objectives in Iran is not easy. He has already admitted that the final decision on any unblock will be taken, not by him, but by the country’s Supreme Council for Cyberspace. This unelected and theocratic body includes many members of the country’s hardline judiciary and passing liberal reforms through such a body is not easy. So, for now, if Iranian’s want to access popular social media sites such as Twitter and YouTube, a VPN such as IPVanish or ExpressVPN remains their only real option. But maybe, just maybe, Iran’s self-imposed cyber-isolation might be about to ease just a little.